Wetlands are not only home to rich ecosystems, but also one of the major shields against climate change. Acting as carbon sinks, they may store millennia worth of emissions in unassuming peaty marshlands. Recently, there has been a significant addition to the growing list of protected areas under the Ramsar Convention on Wetlands. The Congo Basin, one of the largest freshwater bodies in the world, is now home to the largest transboundary Ramsar Site. Transboundary sites are created when two or more parties in the Convention cooperate across international boundaries to protect shared wetland areas. 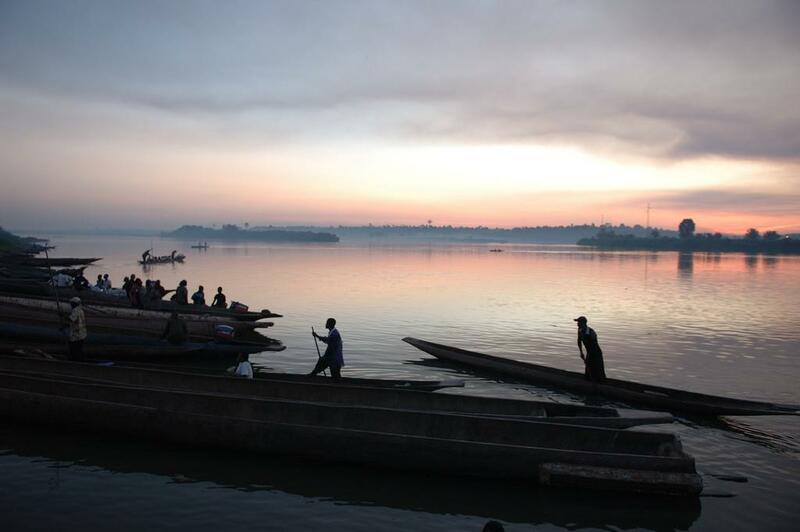 The governments of the Democratic Republic of Congo (DRC) and the Republic of Congo have signed a joint agreement for management of “three exceptional Ramsar sites”, covering both banks of the Congo River. Martha Rojas Urrego, Secretary of the Ramsar Convention on Wetlands, shared historic news of the transboundary site on social media. The new transboundary sites cover an area of 129,000 sq km, with over 60,000 sq km in both DRC and the Republic of Congo. The Congo Basin is home to one of the world’s most diverse ecosystems, with approximately 10,000 species of tropical plants found here. The area is also home to many endangered animal species like leopards, mountain gorillas, okapi and the African elephant. The Grands affluents (‘large tributaries’ in French) across the Congo River, as well as Lake Tele and the Likouala-aux-herbes River, are part of the transboundary sites in the Republic of Congo. The Ngiri-Tumba-Maindombe–a vast area of forests, permanent and seasonal lakes and marshlands—is in the DRC and it forms a part of the transboundary site. For a long time, it was the world’s largest wetland of international importance. The Ngiri-Tumba-Maindombe houses a nature reserve home to the largest continental freshwater mass in Africa. Due to its location at the heart of the Congo basin, the area has several water bodies that not only support biodiversity but also the site's neighbouring countries. Various species of monkeys, waterfowl and buffalo are found here. Local communities depend on it for fishing, hunting, agriculture and collection of forest products. While there are 20 transboundary Ramsar sites worldwide, the first African Transboundary Ramsar Site was established in 2008 when Gambia and Senegal decided on integrated transboundary management plan for Senegal’s Delta du Saloum and Gambia’s Niumi National Park. It was also the first Transboundary Ramsar Site outside Europe. Wetlands in Africa are some of the most critical freshwater masses in the world. Their vegetation controls flooding, regional climate and water quality; and their lakes and rivers are a pivotal resources for subsistence living and tourism. The Ramsar Convention has six partner organisations and 169 participating countries that offer technical, on-field and financial support. Ramsar sites are ‘Wetlands of International Importance’ as decided by the Convention’s contracting parties. They are selected on the basis of ecological, botanical, zoological, limnological or hydrological importance. They are named after the city of Ramsar in Iran, where the Convention on Wetlands was signed on February 2, 1971. This day is celebrated as World Wetlands Day every year.